I don't think it's ever quite matched the sense of wonderment that it engendered in the first season, although the Peter Pan arc in season 3 was very good. It's gotten darker in recent seasons, which is generally good as far as I'm concerned, but "OUaT" has done it unevenly. For reasons I can't quite fathom, the male antagonists have been much more interesting than the female ones, which is quite surprising considering how much the female protagonists drive the show. Apart from Rumplestiltskin and maybe Killian/Captain Hook, most of the male characters are either dull (David Nolan/Prince Charming, Robin Hood) or plot devices (Henry). However, there is a cornucopia of strong women who light up the screen and get things done: Emma Swan, Regina/Evil Queen, Mary-Margaret/Snow White, and even secondary characters like Mulan and Ruby/Red Riding Hood. Indeed, a recent episode [SPOILERS for the episode "Ruby Slippers" OAD 4/24/16] involved the backstory of how Red and Dorothy Gale met, with no discussion of men at all, because the episode culminated in the two women declaring their love for each other. 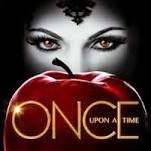 Other continuing arcs/relationships involving just women include the sibling rivalry between Regina and Zelena/Wicked Witch; the even more complicated triumvirate of Regina, Zelena, and their mother Cora/Queen of Hearts; Regina's and Snow's rivalry for dominance of the Enchanted Forest; Elsa's and Anna's sisterhood (ABC is owned by Disney); the trio of villainesses Cruella De Vil, Ursula, and Maleficient and their plan to take over Storybrooke; and others. About the only major female character who is defined primarily by her connection to a male character is Belle (who is Beauty to Rumple's Beast).